FAKRA connectors are utilized for automotive RF solutions. FAKRA connectors coaxial connections are used on devices with external antennas; such applications include SDARS, Cellular, GPS Navigation, key-less entry and satellite radio. The FAKRA connector provides a mechanical key feature along with a visual color code to differentiate between applications . FAKRA connectors with a high-temperature plastic shroud that is fully compatible with lead-free reflow processes are offered. 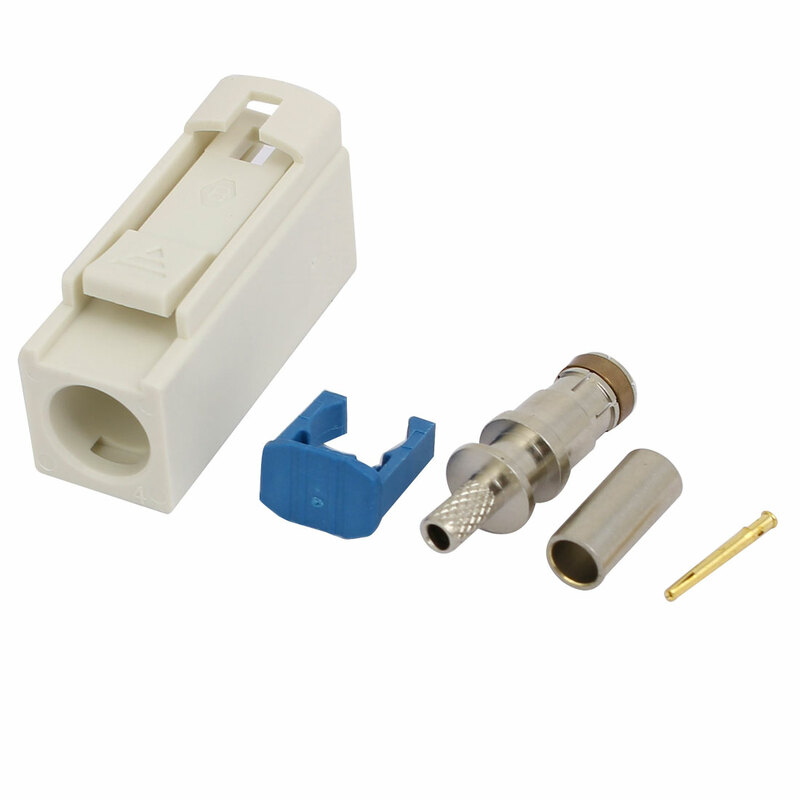 White FAKRA connector type B single head lines to RG174 RG178 defence of the antenna connector tieline car audio modification thread ends.